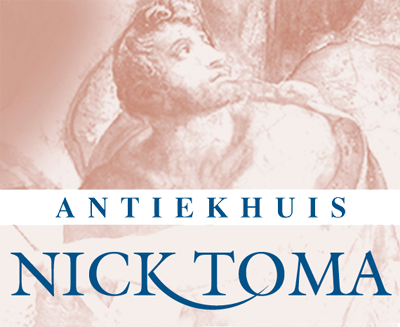 Antiekhuis Nick Toma, has been in business for more than 30 years. 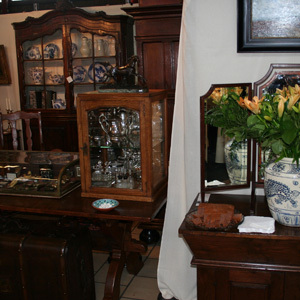 We supply good and authentic antiques from the 18th and 19th century, from the Netherlands or imported from other countries such as France, the UK or Germany. We also have small and interesting pieces and many collector items such as dolls, toys or other pieces out of this region. The antique furniture is stylish and timeless in design and unique. It is available in various woods such as cherry, walnut, oak and mahogany. The furniture is checked by a restaurateur before we place it in our shop. Our passion is to give this furniture a new home where it will become a talking point because there"s so much to say about the style, history and functionality. OPENING HOURS Tuesday, Wednesday, Thursday and Friday from 10:00 to 18:00. Saturday from 11:00 to 17:00. Thursday evening only by appointment. We often select antiques by e-mail. It"s a way to quickly see if a piece is interesting for our shop or not. 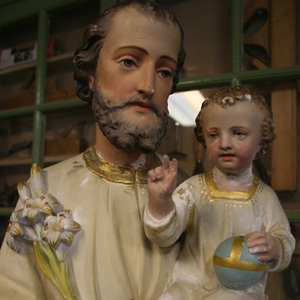 You can send a photo from the object and you add a description, such as the type of wood and size. Then we respond to what we see and you get an answer as soon as possible. The condition of the antiques is important. It must be original, interesting and at least older than 100 years. If we are interested in a particular item, we will contact you by phone and make an appointment. You can also decide to come to our shop. 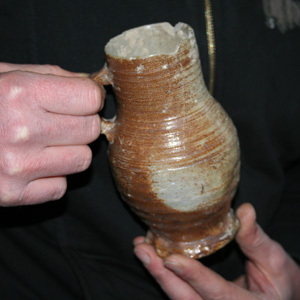 We can view the object and see if it is worth purchasing as an antique item. For further information about purchase and sales you can contact Nick Toma, phone: +31 (0) 45 5222481. An important part of our business is the restoration of antiques. We are qualified to do the restoration of furniture and other fine objects. All pieces are checked and professionally restored using authentic materials. Our craftsmanship contributes to a beautiful result and we make sure that the antiques are properly delivered to our shop where our clients can see the results. 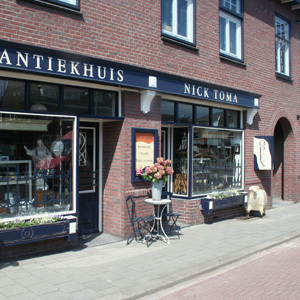 For advice on restoration of furniture, paintings or other small antiques, you can contact Antiekhuis Nick Toma. We give you the right advise about the best way to restore. When the problem is diagnosed we provide you an offer so you know in advance what the costs are. Valuation is also our daily work. When we have to value an entire content, our clients often want a valuation at their home . We than make an appointment to visit on location. Depending on the size of the valuation we make a price agreement in advance. Then we write a valuation report or we give a value indication. When clients decide on a valuation it is for legacy, for insurance or they just want to know what an object is worth. For smaller pieces of furniture it"s also possible to come to our shop. It"s much easier to take a single item and the costs are lower. You can have a simple valuation starting from € 5, - per item. So when you are interested in a valuation, just let us know and give us a call. Nick Toma can answer all your questions. phone: +31 (0) 45 5222481. We make tables to size in recent years. We are often asked whether we can supply antique tables that are extra long but they are hard to find in these sizes. That"s why we make desired tables with customized appearance and character. The choice of wood, colour and finish is unlimited and sometimes other materials such as natural stone, iron or metal are used. Make your wishes known to us and we will create a design on paper. Then we go through each step together towards a beautifully finished product. Our customers are very pleased with the result and appreciate us for the good value for money. See the section Antiques for some examples. For several years we have a flea attic. When purchasing antiques, we often get other beautiful objects. Sometimes it does not fit in our store because it"s not old enough. 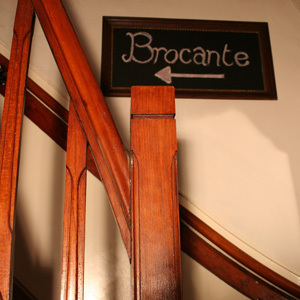 Therefore, we have the attic reserved for things that are fun and interesting, but less than a hundred years old. Our flea attic has become a collection of objects ranging from tables, lamps, sofas, baroque chairs, dinnerware, cutlery, chairs, tables, dolls, paintings, toys and various other curiosities. Our clients find it interesting and fun to search for a special peace for a good price. In the flea attic it is the place to be for many things that are beautiful and well decorated. A few years ago we made a choice to work with students. We find it important that young people obtain work experience and discover their qualities. They learn a lot if they are motivated and they learn all facets of our business. It"s our responsibility to properly supervise them so they can look back at an interesting time. During the training period, we look at the learning process and step by step we give the student feedback. 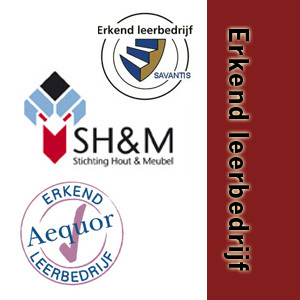 We are a recognized training company, affiliated to the Foundation of Wood Furniture, Savantis and Aequor. If you are motivated and you would like to work with your hands, you can always call and contact Nick Toma, tel: +31 (0) 45 5222481. So if you want to be assured of an internship, make an appointment on time. Enter your zip code, address or place of residence in order to see how you can get to the shop!